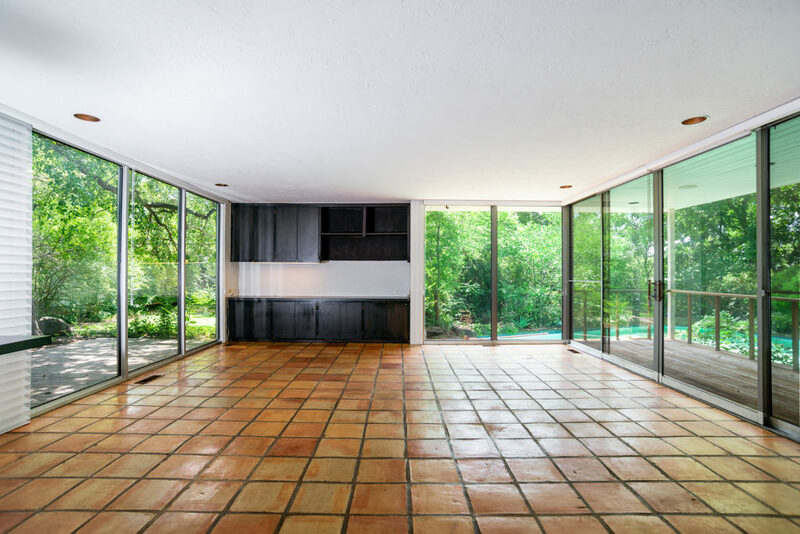 A mid-century modern home photographed by Julius Shulman up for sale. As an architectural and real estate photographer, I sometimes come across a home that is so cool that shooting it is beyond fun. 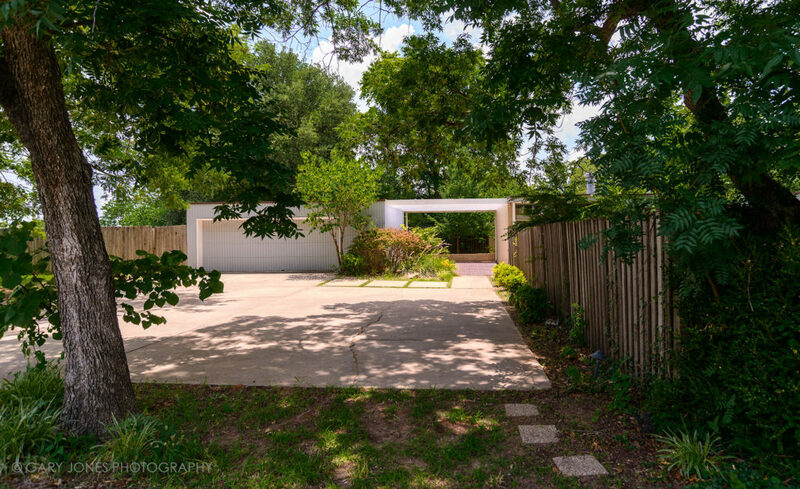 I found that home recently when a mid-century modern home I have always been interested in came on the market here in Stillwater, Oklahoma. It’s a rambling, open-plan 4000+ square foot marvel that blends indoor and outdoor living and was custom built for the late insurance broker Wes Wyatt. 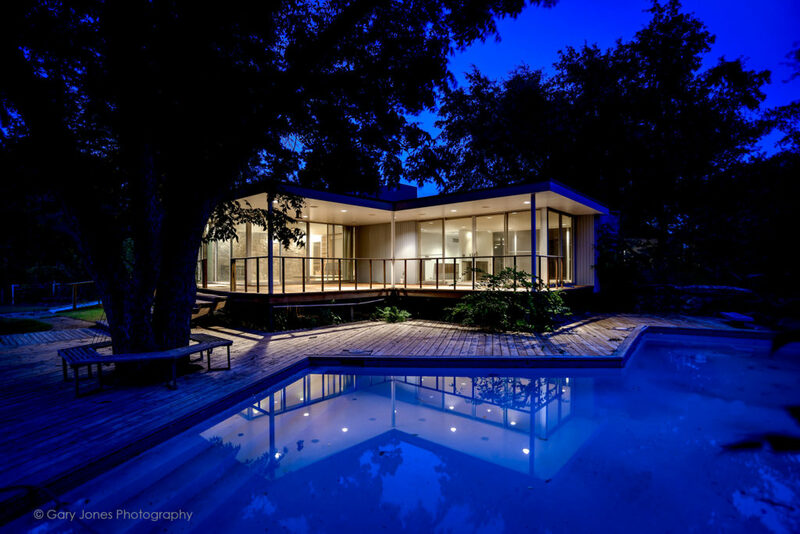 Within a year of being built, it was photographed by Julius Shulman, one of the foremost architectural photographers in the US for the cover of House Beautiful magazine of 1967. 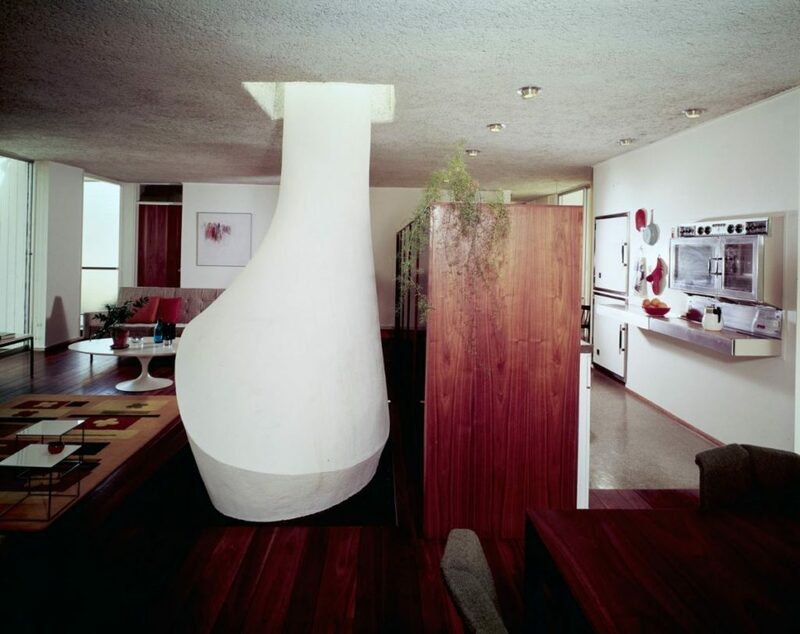 Julius Shulman, of course, was considered one of the United States pre-eminent architectural photographers up to his passing in 2009 – and well known for his work shooting for architects like Frank Lloyd Wright, Pierre Koenig, Richard Neutra and Raphael Soriano whose Stahl Case Study home images brought Shulman considerable acclaim in the 60’s. And yet, here he was in Stillwater, Oklahoma shooting the Wyatt residence. I first noticed the home was up for sale during an Estate Sale being held there and I had the chance to go into the home during the sale to look around. People were so excited to see the house that I had to park two blocks away! As a photographer and a licensed Realtor, I knew Mike Lauvetz of Coldwell Banker who was the broker who held the listing, so I contacted him about a week later to ask if I could go into the vacant home and shoot it as a personal project. In return, I gave him his choice of images to use with the listing. With his approval and my Realtor’s access to the lockbox, I got my gear together and headed over to the house to shoot it with a real sense of excitement. Soon, my partner Christine and I had our cameras packed and we eagerly toured the home turning every corner to interesting new views. From our perspective as photographers, we found the home filled with natural light, interesting angles, juxtaposed spaces and a mix of old and new surfaces all waiting to be photographed. 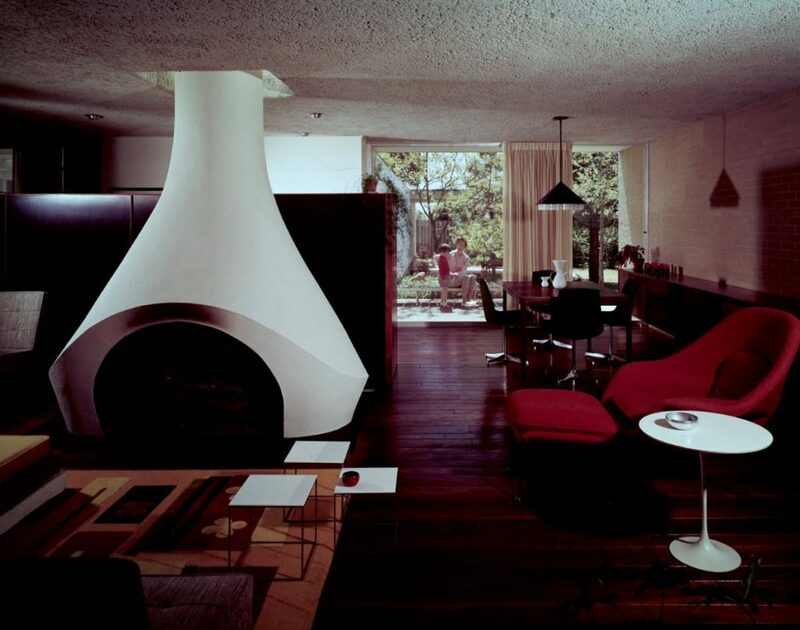 Knowing that the home was last shot by Julius Shulman also hung over our heads. As interesting as the home is visually, it became even more interesting as we learned the back-story on how it came to be and those involved with it. Wes Wyatt was a young graduate of Oklahoma State University who began selling insurance shortly after graduation. He grew his business slowly, but steadily over the next several years with an eye towards buying or building a home that would get people’s attention. His belief was that the more people were aware of him, the more his business could grow. What better way he thought than to build a home people would notice. Wyatt was an affable entrepreneur and he grew his business into a consistently growing insurance agency to a point he felt he could hire an architect to design the modern home he envisioned. Being in a college town with an architecture school, he met with architecture professor Edward Rominiec to discuss building a home. Rominiec, who also worked at the Oklahoma City firm of Seminoff, Bowman and Bode handled interior design work on many projects there while teaching. It was through Rominiec’s suggestion that Wyatt sought out Texas-based architect Langston Smith, Jr. to design the new home. The plan became to build the home in three phases as Wyatt’s agency grew and he could afford to add on. 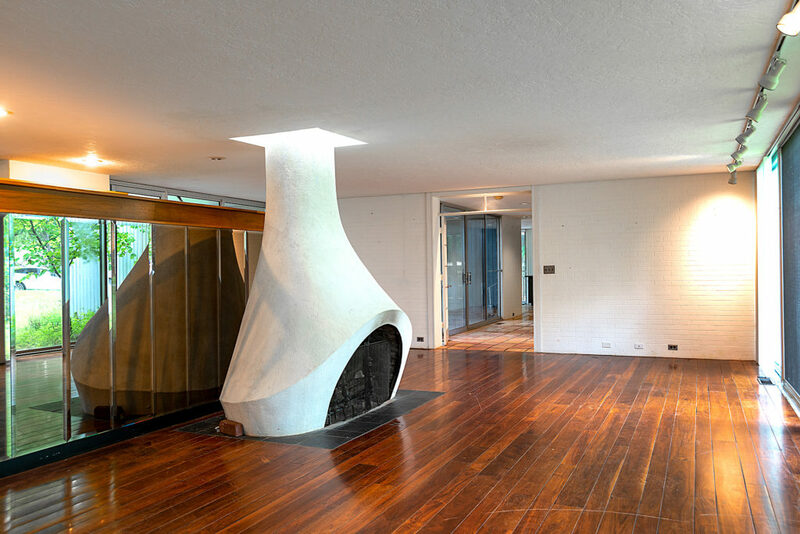 The initial phase of the home would contain two bedrooms, two bathrooms with a kitchen-dining space that blended into a large open living room with a free-standing fireplace. The kitchen would be flanked by floor-to-ceiling windows with a divider between it and the living room that stopped just short of the ceiling allowing light to spill over from the living room’s floor-to-ceiling windows. The kitchen featured a wall-mounted oven with a recessed freezer-refrigerator combo within a galley style layout. Outside, a flat-roof carport mimicking the house’s roof-line, sat next to the house. In the second phase, a new wing would be added with a den, two bedrooms and two bathrooms for his children joined to the main house by a long glass-enclosed walkway. 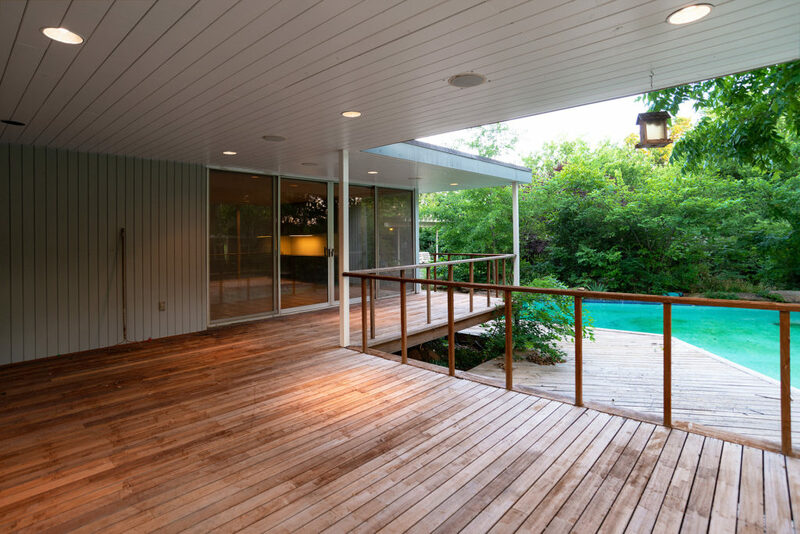 The home was designed from the beginning to bring the outdoors in from every room in the house utilizing floor-to-ceiling glass panels. As each section of the home was added, the connections between the living units would be hallway passages with floor to ceiling windows on one side to give the impression of walking through nature as you transitioned from one area to another. In the third phase, a new master-suite wing was added housing the master bedroom, master bath with sauna and walk-in closets. 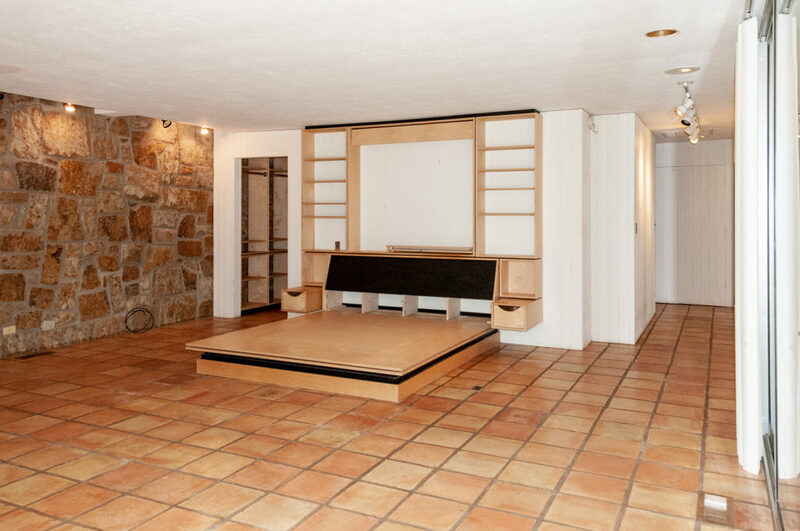 Adjacent to the master bedroom area was a large space that could be used as a home office surrounded on three sides by floor-to-ceiling windows looking out on the pool and yard. It was here in his home office (middle image above) that he wrote a book for other entrepreneur’s on building a business by creating awareness for their businesses using the techniques that worked for him. You can still find the book on eBay occasionally entitled: How I Became “Mr. Insurance” in my community and started earning $100,000 a Year. Not a bad feat in 1972 dollars! 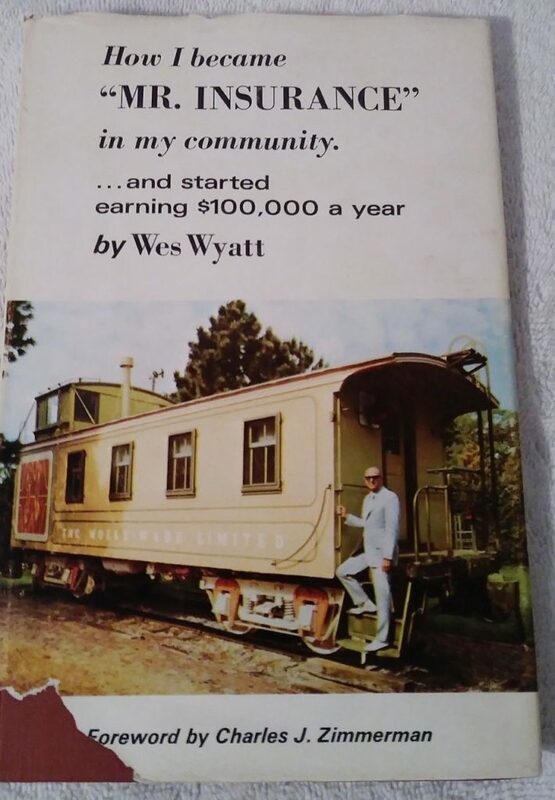 Image of Wes Wyatt on his backyard caboose. As his agency grew, Wyatt added features to the house and to the 5 acres of landscaped yard he created around a swimming pool just outside the master suite. One of the most striking elements of his landscape was the train caboose he had brought in and the water tower he build next to it for his children to play in. 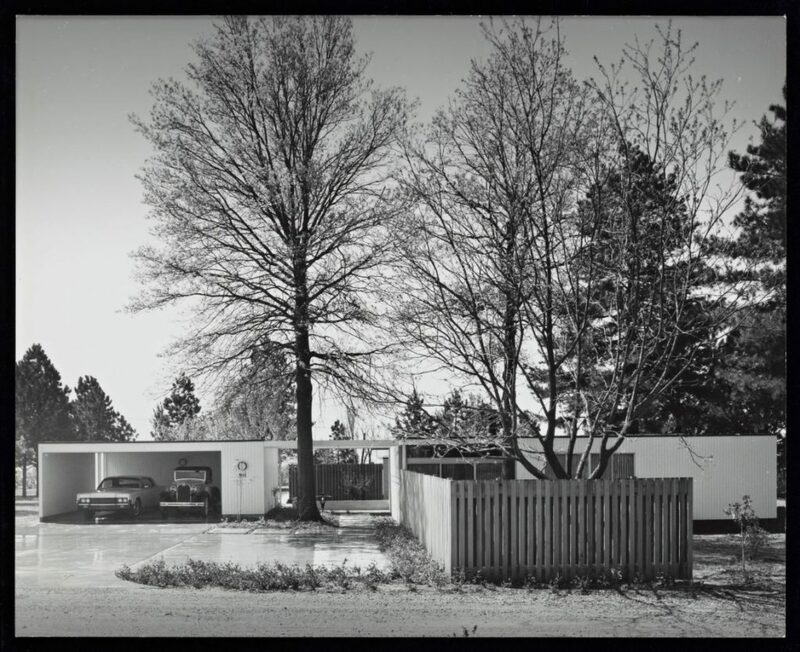 Next to it sits a tennis/paddleball court built and close by a free-standing four-car garage which housed his collection of cars he used in parades and driving around town. As the years moved on, some remodeling occurred to the original master bedroom and the kitchen, changing the layouts of both. The original master bedroom which opened to a patio and greenhouse, was closed off to create a guest bedroom by turning the passageway out into a closet space. 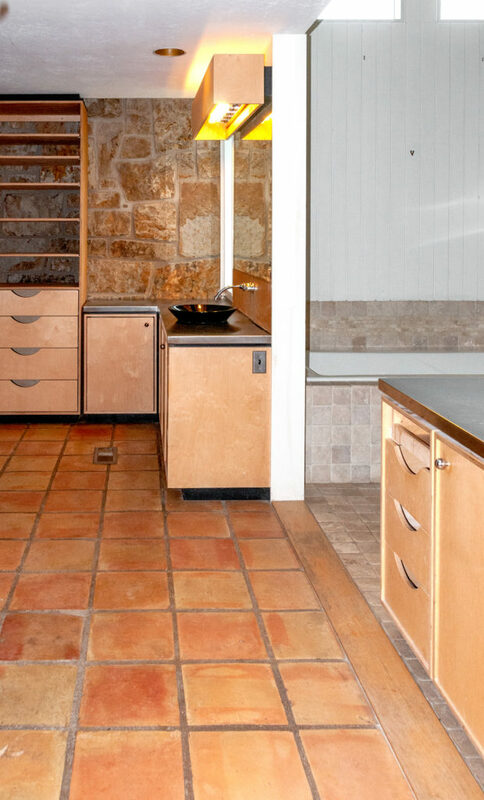 Lastly, the galley style kitchen layout was changed to accommodate a kitchen bar sitting area. But here is where the history of the home turns to be a bit mysterious. 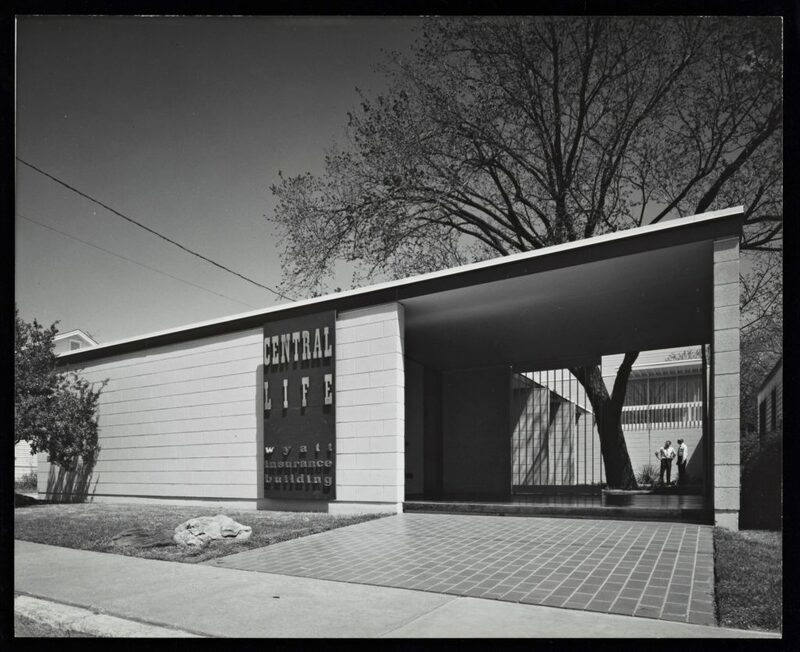 The architect, Langston Smith, Jr. oversaw the completion of the phases of the home, even designing Wyatt an AIA award-winning office building in Stillwater which Shulman returned to photograph, yet details on the rest of his career hardly exist. 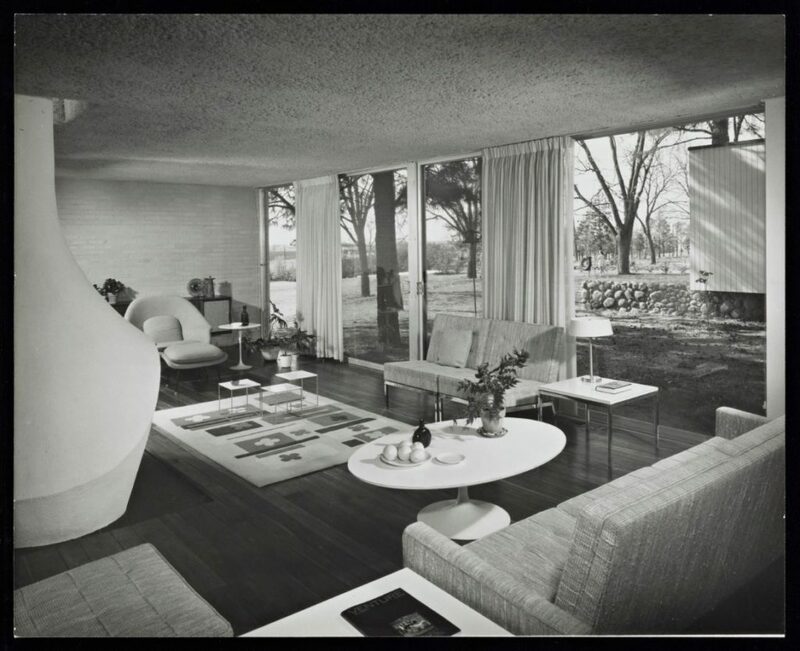 Here was an architect who was designing a cutting-edge home and office (see below) in an era of growing mid-century modern appreciation and I thought surely there were more homes he designed that I’d like to find and photograph. 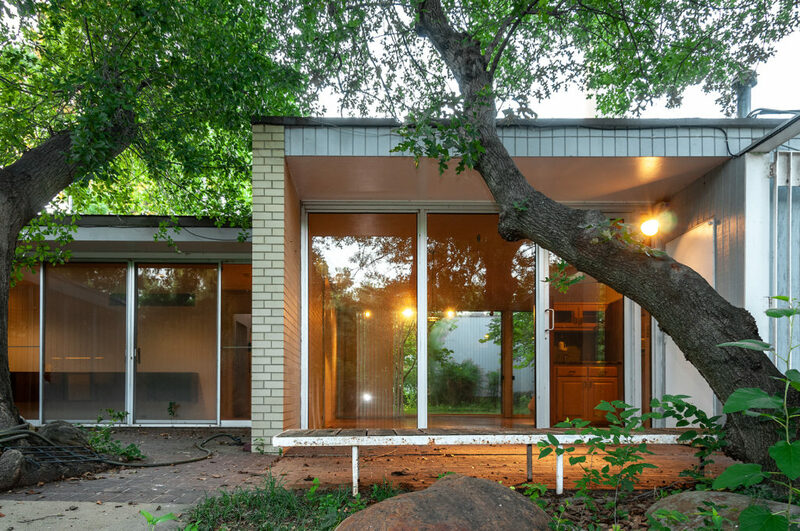 He graduated from Texas A&M’s School of Architecture with honors and started a practice in Tyler, Texas although no other homes have been found to attribute to him. He went on to work for the State of Texas Economic Development Administration as an architect and at 90 is retired in a small town outside of Tyler. It is hard to believe that there aren’t more interesting homes he designed that will serve as his legacy, but so far (2019) we haven’t found any other residential homes attributed to him. 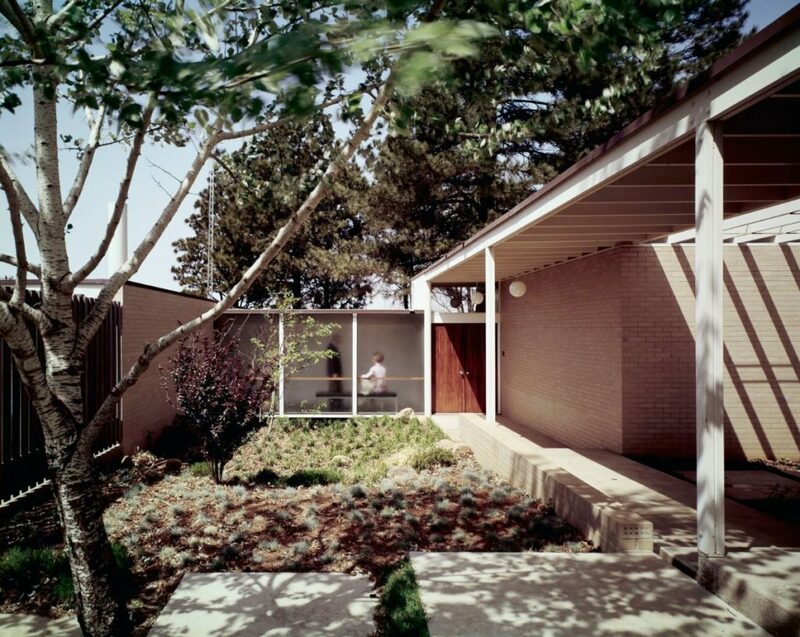 An interesting side note is that years after the Wyatt residence was built, OSU’s Ed Rominienc moved to Smith’s alma mater Texas A&M and became one of the most admired department heads for the School of Architecture serving until his retirement in 1988. The link below will take you to the images we shot of the Wyatt residence as it looked in-between owners. A few of the images are planned, with others shot as grab and cell phone images. The home has just recently sold to a couple who plan on restoring the interior and landscaping of the home. In the years since the Wyatt’s owned the home it had fallen into a general state of disrepair which the new owners plan to address. I'm a Pro|Am photographer interested in panoramic and creating large format prints. Planning on a number of short and week long photography trips. Fall color is coming soon!